Rhinoplasty (better known as the ‘nose job’) is the most sought-after cosmetic in the world in general. According to statistics, many people elect to undergo nose cosmetic surgery in India. In fact, its popularity among women in particular has been increasing since 2011. India even ranked fourth in the world with the most number of patients undergoing rhinoplasty in a 2010 survey—and the number of patients grows at a steady rate. But why do people opt for this procedure? As with any cosmetic procedure, aesthetics is one of the major reasons for undergoing nose cosmetic surgery in India. Since the nose is in the centre of the face, any imperfection in shape and size is immediately noticeable. Those who feel self-conscious about their flat, big, or hooked noses are often the candidates for this procedure. Cleft lip or cleft palate – This birth condition can be fixed through rhinoplasty. It helps children eat properly and live a normal life. Difficulty in breathing – If you are having difficulty in breathing, it could be because of the anatomical structure of your nose. Those with a deviated septum often experience this. This condition, if not treated, could lead to chronic sinusitis and other serious medical problems. Bone fractures – Rhinoplasty is also the best procedure to reconstruct nasal bones and correct deformity due to accidents and injuries. The goal of the surgery is generally to restore your nose, so it can function normally again. 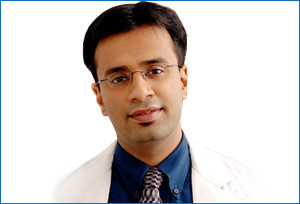 Unlike other types of cosmetic procedures, nose cosmetic surgery in India is less-invasive. The treatment involves small incisions and the recovery time is also short. With today’s medical technology, plastic surgeons can give their patients the nose that they want. This is especially true for top plastic surgeons in the country who have years of proven skills and experience.